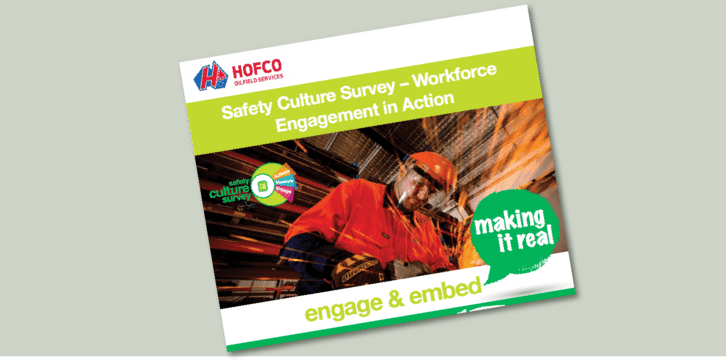 Poster for Hofco's Case Study "Safety Culture Survey - Workforce Engagement in Action"
Safety Culture Survey A survey across the industry to assess and measure safety culture maturity and identify key areas for focus and improvement. Safety Leadership The Safety Leadership Working Group exists to support leaders demonstrate effective and visible safety leadership and behaviours. The emphasis of the Group is on everyone, at all levels of an organisation, being a Visible Safety Leader.